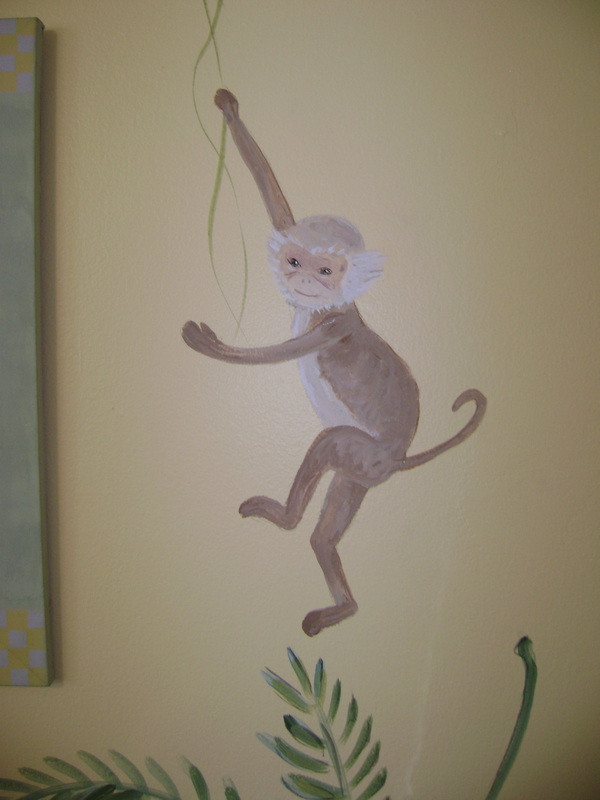 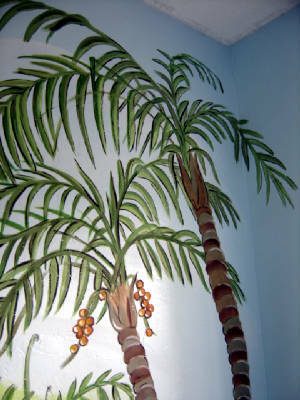 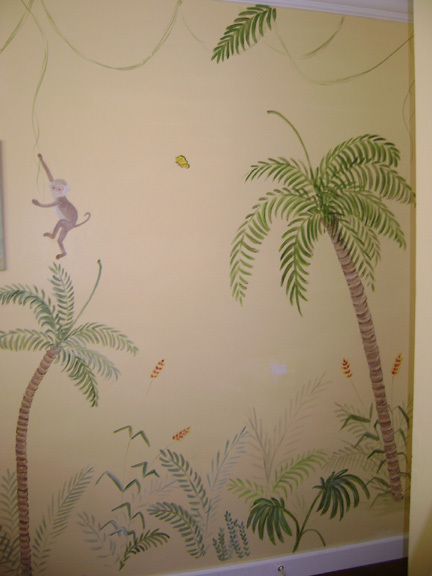 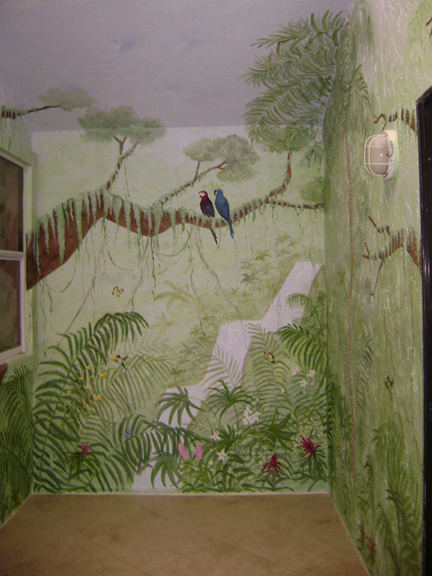 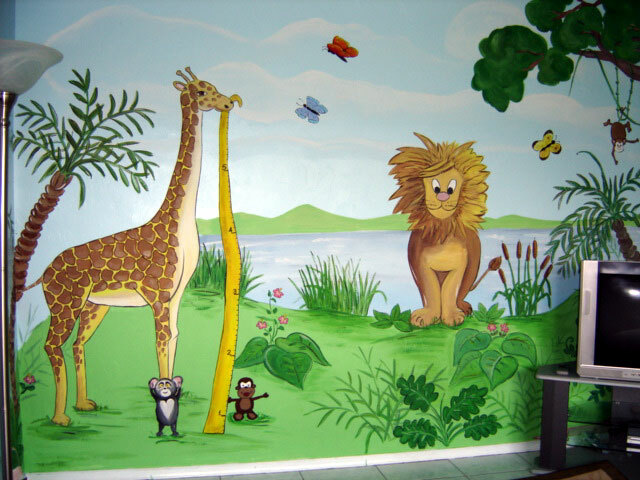 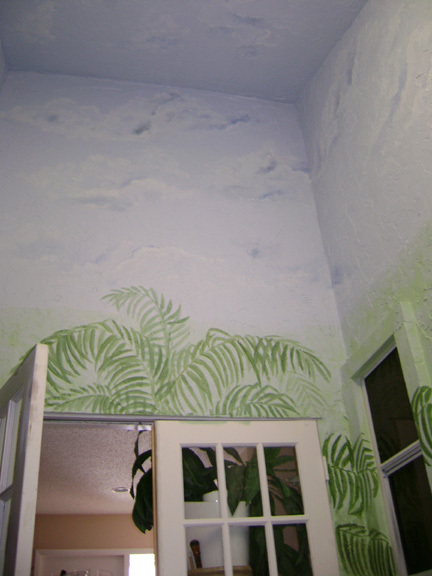 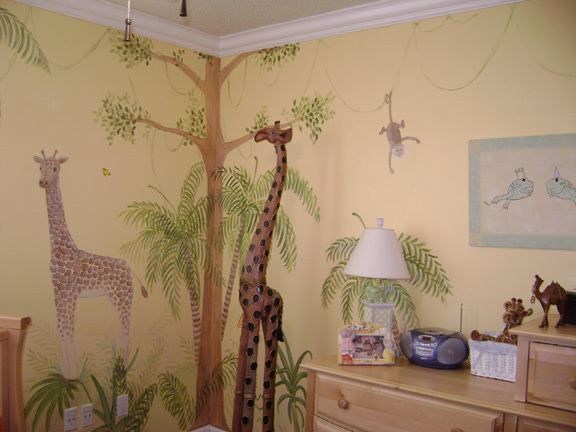 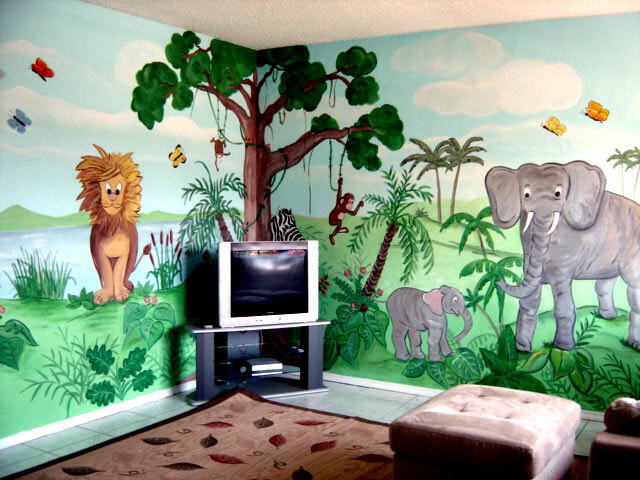 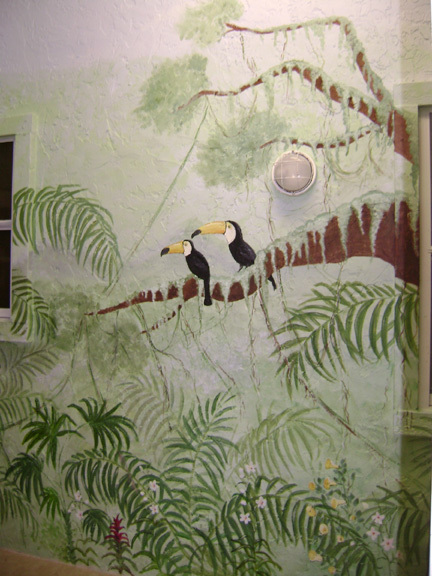 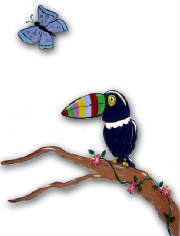 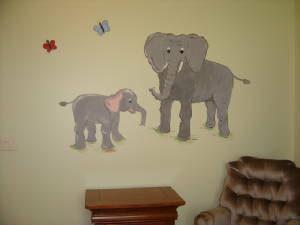 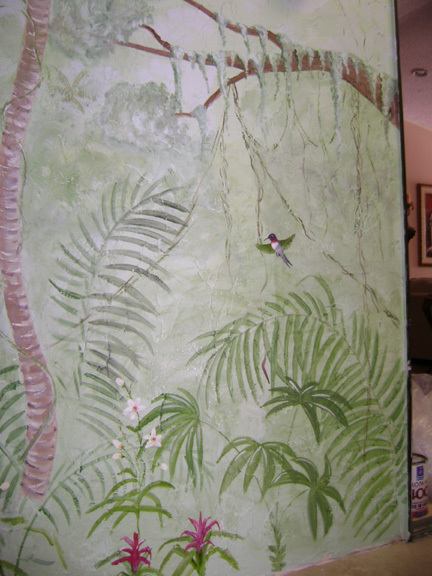 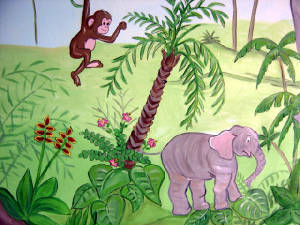 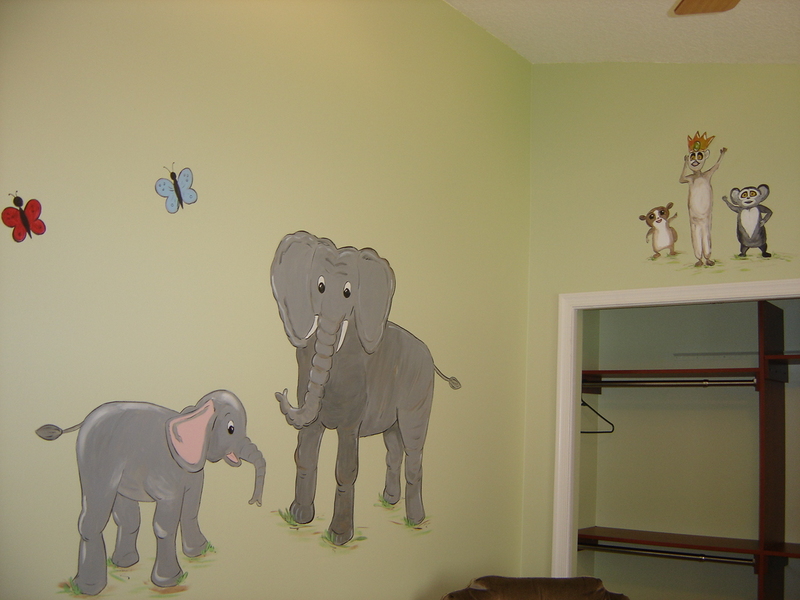 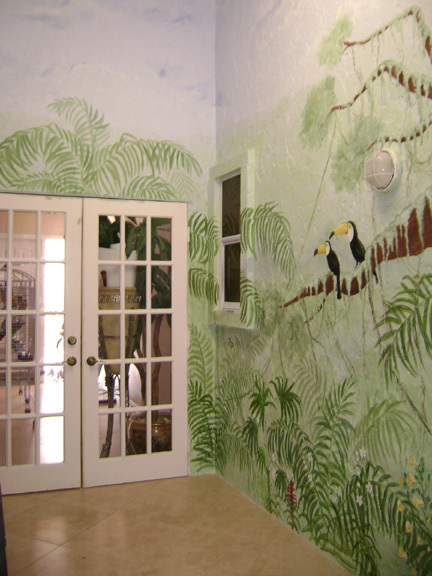 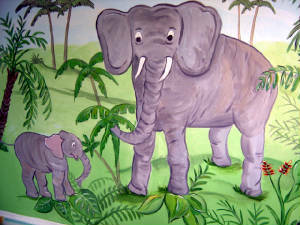 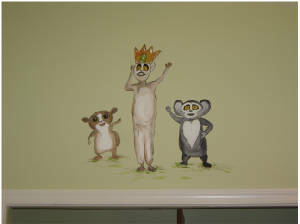 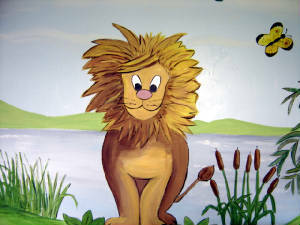 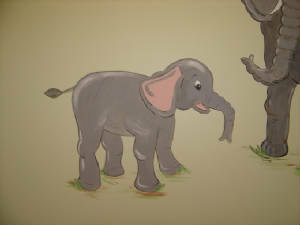 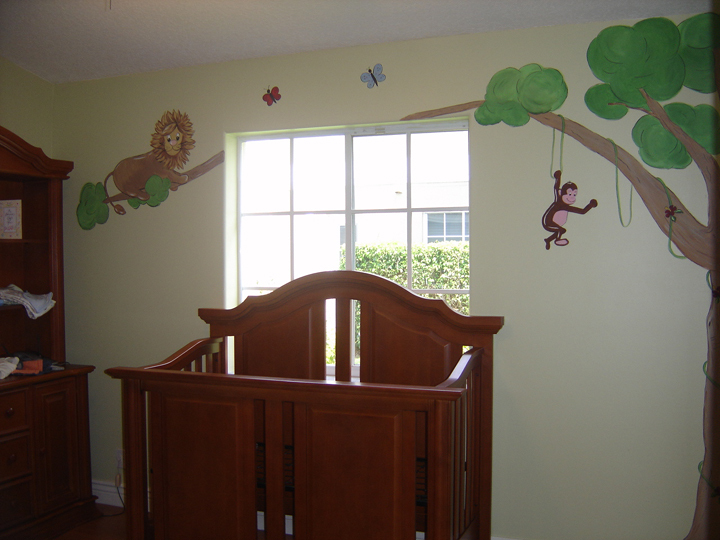 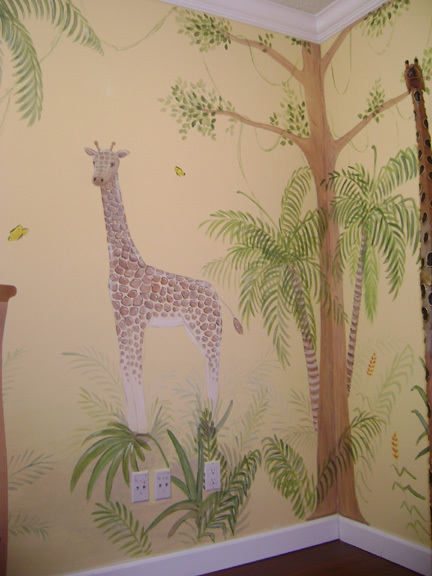 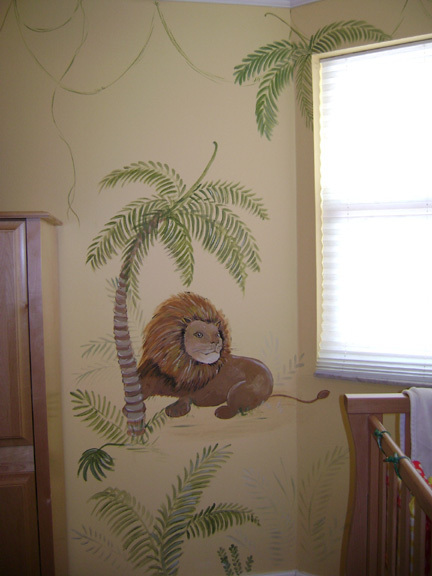 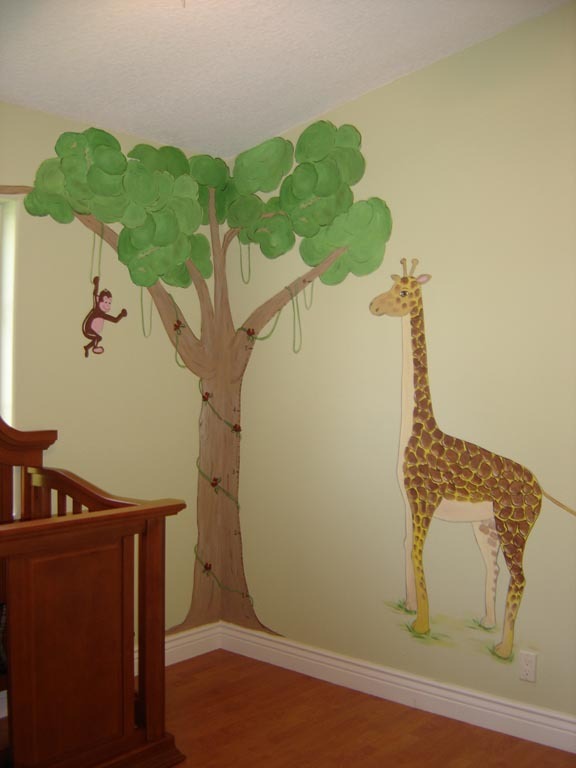 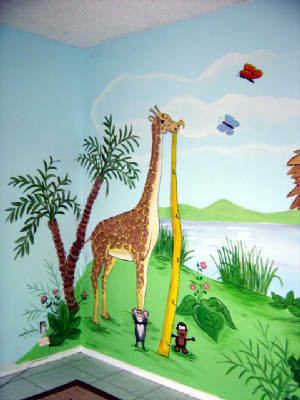 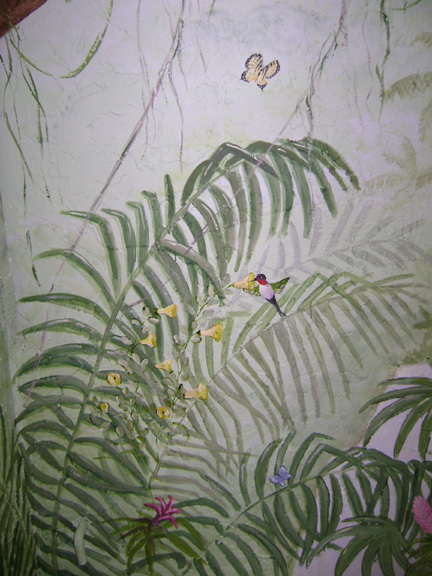 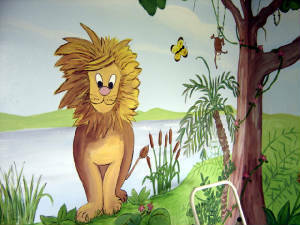 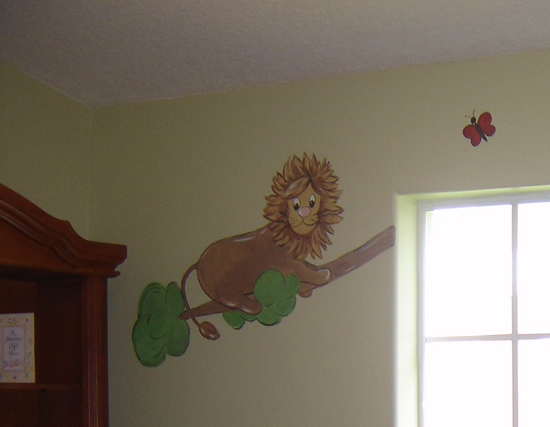 Mural has a jungle scene with a river ,exotic birds palms and flowers. 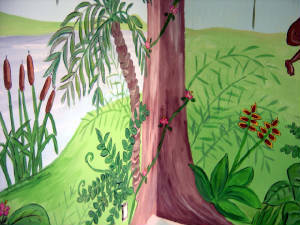 INTO WORKS OF ART ! 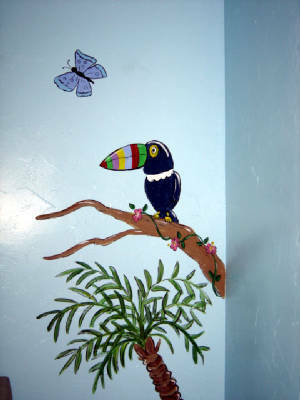 © 2004 MuralMax All Rights Reserved.